Thursday, June 21st, 2012: Mason had a dentist appointment in the Highland area, which is a good 20 minutes northeast of Saratoga Springs. As we left his appointment in the middle of the afternoon, he pointed to the hills on the western skyline, and asked about the smoke. I could see that it was likely a brush fire but it looked to be a long ways out. I reassured the kids that it was obviously a small fire and far away from us, so there was nothing to worry about. The smoke was pretty light in color, at the very top of the hills, and not covering much area. As we approached Saratoga again, however, I noticed that the fire was quite a bit closer than it had appeared from a distance. It looked to be directly west of our home. 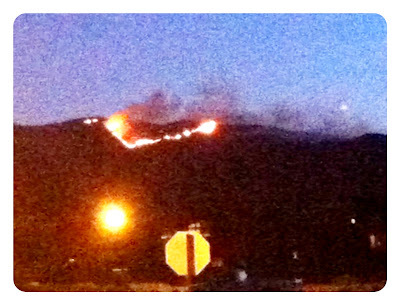 It was still at the top of the hills though and still a very "small" fire. That night, I went to play Bunko at a friend's house. No one even mentioned that little fire. But as we left Bunko, it was dark. It was then that we first saw the flames. At that point, we could tell that little fire was not so little anymore. Here is the picture I took with my phone, as I left Bunko that night. As you can see, the flames are huge, but the fire was still at the very top of the hills and quite small. We talked about it a little before heading home, but no one was bothered by it at this point. 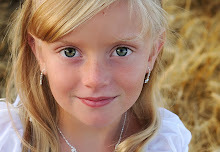 I got online and read an article about it on KSL.com. 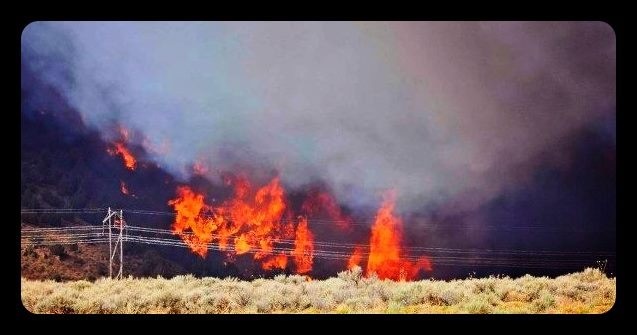 The article said that the fire had been started by target shooters (in 100 degree weather with record dry conditions? Really?) and had burned almost 600 acres. 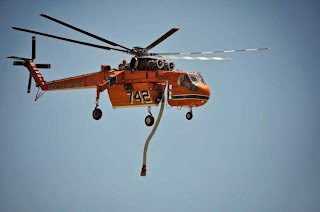 It said that they had the perimeter under control but they were letting the middle of the fire burn out to lower the risk of future fires in the area. As you can see, the fire had obviously spread and was no longer at the top of the hill. It had burned a much larger area and had moved much closer to our neighborhoods. The light smoke from the day before was gone and this dark, black cloud hung over us. My neighbor showed up at my door, asking if I thought we should start packing, just in case. I told her no, there were plenty of neighborhoods higher than us, and I'm sure they'd be evacuated first and we would hear about it in plenty of time. I told her that since we were across Redwood Rd, a major road, I thought the chances of the fire jumping Redwood were very slim and we were probably totally safe. I got back online to read an update on the fire. The tone of the article had completely changed, now saying that the fire was out of control due to 20-30mph winds all night long, and had over tripled in size throughout the night. This was the first moment I thought that maybe the fire could be dangerous after all. I started getting texts from friends in the Salt Lake area asking if we were okay. They were buried in smoke clear up there and were worried about us. The smoke, as you can see from the photo, was actually going up and over us, so the air here was fine, even though it was getting bad throughout the rest of the valley. As the day progressed, things got scarier. 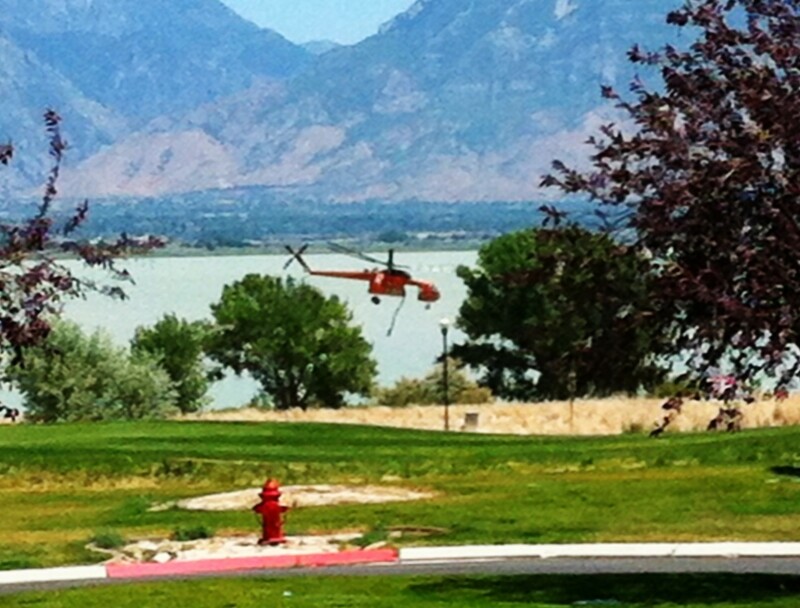 Evacuations started in Eagle Mountain not long after this photo. The fire, it seemed, was headed towards a building that housed explosives. It was within a mile, but they were doing everything they could to divert the fire from the path of that building. Several neighborhoods in Eagle Mountain were evacuated. For those not from this area, the fire was burning along the mountain line that runs directly between Eagle Mountain and Saratoga Springs. Eagle Mountain is on the West side of these mountains, while Saratoga Springs is on the East. I headed outside where I visited with some neighbors about the situation. 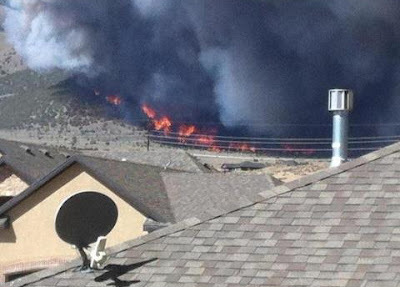 At this point, the fire was less than a mile from homes and totally unpredictable. We noticed as we were talking, that the wind was blowing Northeast- directly toward our homes. It was obvious, even from just looking at it, that it was moving quickly, and moving right toward us. I was checking KSL regularly to see what the situation was. Within a few hours, they began evacuating all of our neighboring neighborhoods in Saratoga Springs, clear to Redwood Rd. My neighborhood runs right up to, and touches, Redwood Rd. We are on the far East side of the neighborhood, maybe a quarter mile off Redwood Rd. So at this point, we realized that the evacuation line was less than 1/4 mile from our homes. At this same time, the smoke finally began descending on top of us. The ash and smoke were very heavy and we knew we shouldn't be outside for long. Our neighbors had friends and family who had been evacuated that had stopped by and updated us on what the situation was up in their neighborhood. The flames were getting very close. The smoke was terrible, and there were very worried. We headed back indoors. Soon, things got loud. 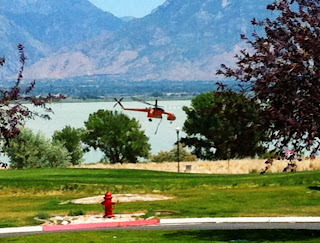 Because we live right on Utah Lake, the choppers were flying from the fire, directly over our homes and refilling in the lake, before heading back to the fire to dump the water. It was amazing to watch how quickly they would refill (maybe 30 seconds), head back to the fire, dump, and be back- all within just a couple of minutes. But at this point, besides the noise of the choppers, it was like a ghost town outside. The air quality was too poor for anyone to be playing. Where there are usually dozens of small children playing, there was only greenish, ashy air, and dead silence. It was very unsettling. 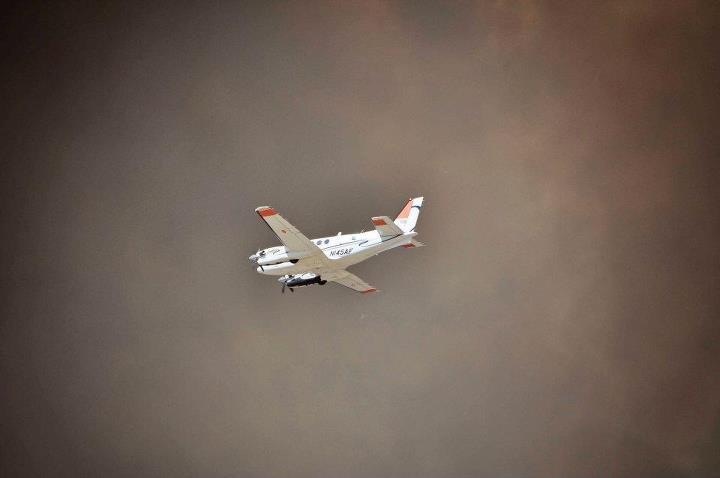 The news was now reporting the fire to have burned over 4,000 acres and continued to grow. Many of our neighbors had their vehicles packed, just in case we were evacuated, as all the surrounding neighborhoods had been. This photo was taken from my neighbor's rooftop on Friday. Dan left work early on Friday to come home and check on us. The roads leading into our neighborhood had been closed, and he had to stop and provide his address to the policeman, so they could verify that he wasn't heading back into an evacuated area. No one slept well that night. I could feel the pressure in my chest from even the short time I had been outside. My kids all smelled like smoke, as did my basement. My eyes were burning, my throat was scratchy, and we knew we really couldn't leave the house. We still didn't know if there would be a knock at our door in the middle of the night telling us we needed to get out. A plane flying through the smoke. Saturday, June 23rd, 2012: The first thing I did upon awakening was look out the window. To my surprise, things looked much better. The smoke had somewhat died down, the fire didn't appear to have moved any closer to us, and the air wasn't green and thick with ash as it had been the previous day. I once again checked the news reports. At that time, they said that once the winds had died down, the firefighters were able to get the fire under control to an extent. It was 30% contained and seemed to be moving laterally- north and south- directly between the Eagle Mountain and Saratoga Springs communities, instead of toward one or the other. This was great news. The evacuations had not yet been lifted for those who had been evacuated, but it didn't appear there would be any more. We were relieved to know that we were likely out of danger. 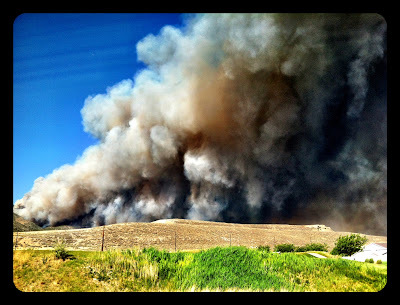 Sunday, June 24th, 2012: All evacuations were lifted and those that were displaced were able to return home. The miracle of it all was, with 6,000 acres burned, the flames came with 20 feet of some homes- 20 feet. That's like from one end of a room to another. Some came that close to losing their homes. What a miracle that they were able to get control of the fire before it touched any of them. As of today, the air quality is still poor and we are being told not to exercise outside for the rest of the week. All our kids Tball games and cheer practices were cancelled for the week because of that. The fire still burns but it is now under control. We feel very blessed that our community came out of this situation without any loss of life, or any losses of homes. We know we owe much of that gratitude to the brave men and women who fought so bravely to save our homes and protect our families. This picture is so touching (it is not mine- it was submitted to KSL by a viewer) to those of us who were protected by these heroes. Thank you to each of them. 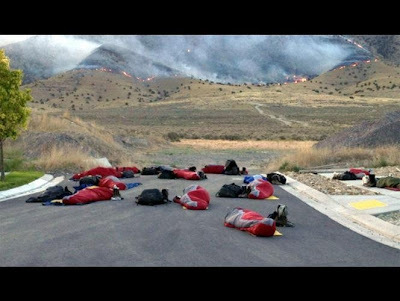 Firefighters try to get some rest before heading back to fight the raging fire once more. So thank you to all of those who were concerned about us and kept checking in to see how we were doing. Thank you to all those who offered a home, a room or a couch for us if we were evacuated. Thank you to everyone who offered prayers in our behalf. It appears your prayers were heard. We are safe and sound, and home. 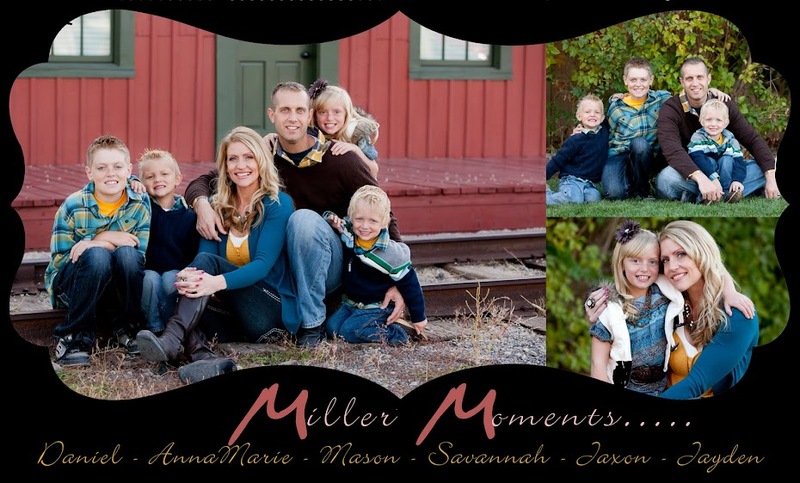 *A quick thank you as well to my neighbors who supplied some of these photos. I am so glad to hear everything turned out okay. How scary!! I had no idea it was this close to you! How Awful!! Glad everyone is safe and no homes were destroyed.